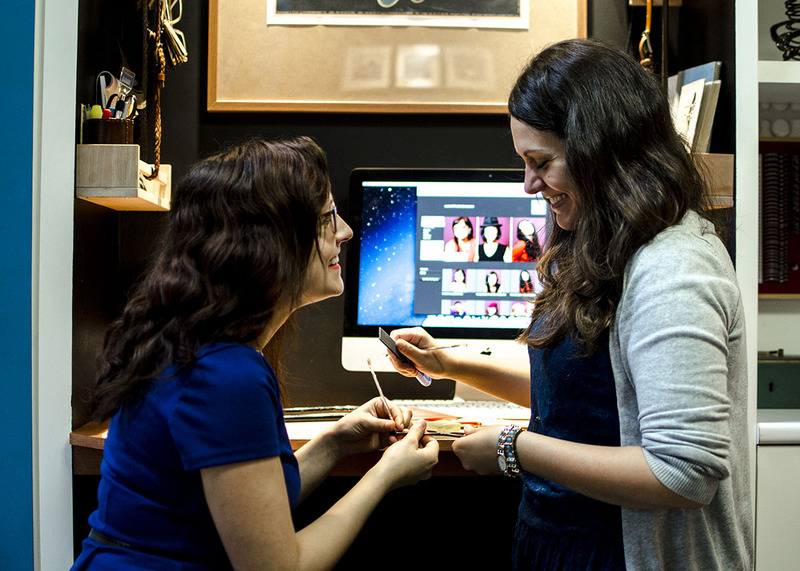 MOSH Framemakers is Canada’s only maker of handmade custom eyewear. 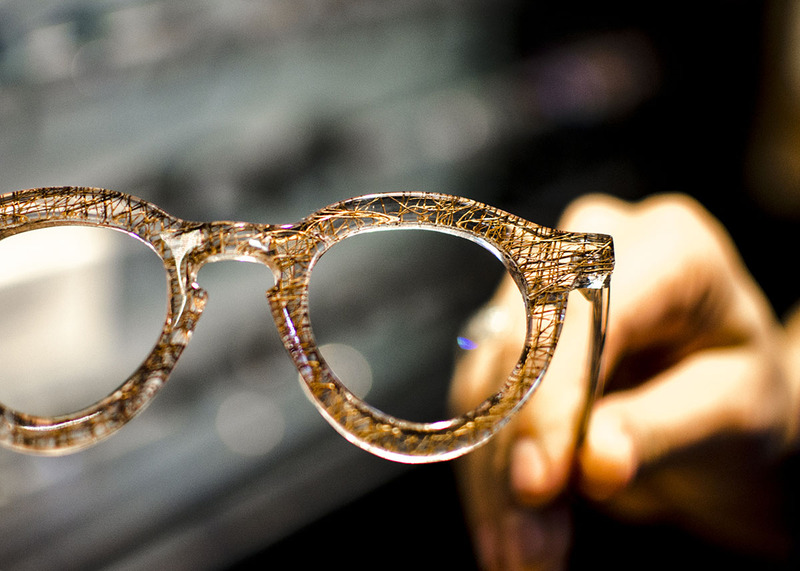 By searching the world for the most innovative designs and technology, they also offer a finely curated selection of unique eyeglasses. Gastown is like one big cultural patchwork quilt. 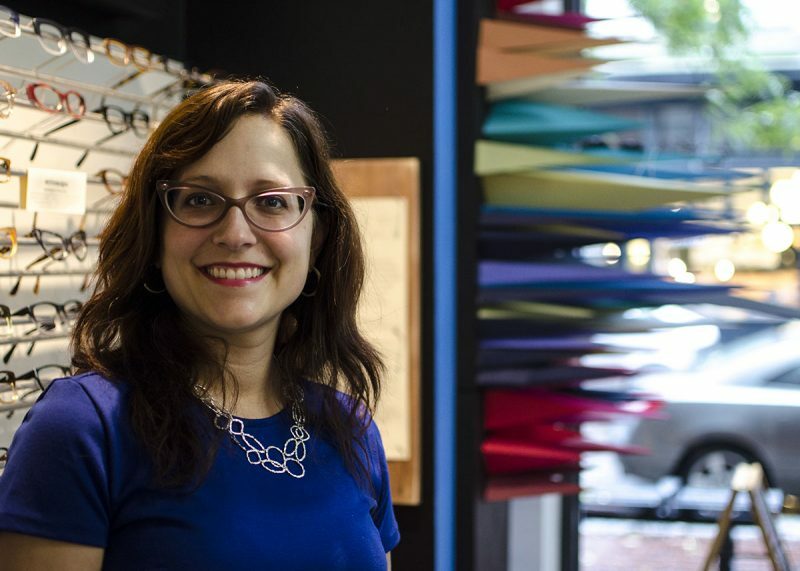 Sara Moshurchak is one of those intricately hewn swaths of fabric. Looking generally, it would be easy to view Eyeland Framemakers as just another eyeglass store. But all one has to do, is simply step inside her world at 45 Water Street and a gifted women of Gastown emerges; subtly, gracefully, full of warmth, passion, intelligence and unbridled creativity. She then softly asks: ‘What would you like us to create for you?’. Behind peaked cat eye lenses, she waits. The answer could be anything you choose. Sara has risen as an awkward student with dreams of becoming an optometrist to a successful business owner, ocular inventor, dreamer and innovator. Spend some time with her and you’ll soon realize that though she may be standing on the shoulders of giants, this sometime “mad scientist” can in fact see further than many of us. I was going to be an optometrist and was studying dilligently for it. I come from a family where we made our own toys and sewed our own clothes. We’re mechanics and tinkerers. I’ve always had this abiltiy inside me to craft and make things. Eventually, I thought maybe I could go to optical school and actually get to make glasses. It was there that I met a man named Klaus, who was the original owner of the store. He came to school one day to give a small seminar on making frames. I was amazed and intrigued by what he did and how he did it. I literally turned to my classmate and said to her: I’m going to own that guys business one day!’. I started to work at a couple of different stores and the day came where I found the courage to apply at Klaus’ store Eyeland on Granville Island. I was hired and over the years he taught me the industry. Eventually, I became the manager and then the vice-president. Klaus was looking to retire and I wanted to go further, so I ended up buying the shop from him in 2008. We kept the shop running on Granville Island but eventually outgrew it and 2 ½ years ago moved here to Gastown. Is Eyeland the only store in the city that does what you do? We’re the only ones in Canada. We do everything by hand. There are plenty of talented designers here but we are the only company that will create entirely handmade, custom designed frames for people. Is Gastown the right fit for Eyeland? Absolutely. It’s an independent, tight knit community that’s very connected. I was afraid that I would miss this element the most when moving from Granville Island, thinking that I was leaving a group of artists and trailblazers behind. Within a few weeks of moving into the neighbourhood, my neighbours and other locals came to visit, introduce themselves and welcomed me. Everyone’s super supportive. It’s a close community and everyone has a vested interest in keeping it together while staying vibrant, creative and whole. Ever had any bizarre requests for custom frames? Well the dog hair one was interesting! The customer wanted his beloved pets hair weaved into a custom pair of frames. But no, nothing super weird just yet! We are open to anything though. And even the bug thing – we have these creative brainstorming pow wow days where we all sit around and put our brains together. Someone said: ‘You know what would be cool? We should put bugs in glasses!’. At first I thought that was the silliest idea ever but then I thought about it more and realized they put bugs in jewelry, and in jade and amber. So I thought: ‘Why couldn’t we do that?!’. It’s now been one of the most talked about things that we’re working on right now. The bugs are sourced locally? Yes! No bugs were harmed. They were found dead and we have been saving them for Althea and she’s been pressing them in. It’s exciting! If you had super powers, would the entire world be wearing glasses? Oh my gosh, yes! It kind of feels like the entire world almost is wearing glasses these days. It totally transforms who you are. I’ve got my more boxy, square power glasses that I wear when I’m going to meetings and government stuff and to the bank. Then I have my more girly, dressy ones. They have formative powers. Anything else cool that you’re working on right now? For Canada’s 150th birthday next year we’re going to develop specific frames inspired by each province. There will be themes like wheat for the prairies and sand for the west coast. There will be maple leaves for the Canadian themed frames. It will be part of one entire collection where you can see it in person and appreciate the craftsmanship and overall aesthetic. We’re also trying to work with plants in frames although the color gets lost. We’ll figure it out. Really, we’re not just opticians and frame makers here; we’re like a bunch of…..mad scientists. What are your favourite places to go hang out in Gastown? We love Tacofino. We go there quite often. The Flying Pig is great. I love the drinks at the Pourhouse. The Diamond is also fantastic. Softpeaks – we eat there a lot. Oh and Bambudda! Have you been there yet? Oh my God – their drinks are amazing. I love their street side bar and the food is delicious. What I love about Gastown is that, in other parts of the city, it’s the same restaurants and vendors but in Gastown, there’s always something new and exciting. So Gastown is your home? It is and has been for a long time. Since my youth in the 90’s, I have hung out here for years and this is where I’ve always felt I belong. For the smallest neighbourhood, it has such a big impact on the city. I’ve always found that so fascinating. It blows my mind when it hits me: ‘I’ve got a shop on Water Street!’. And for that, I am truly grateful.